In Bevagna, which is located in the heart of Umbria and on the road leading to the famous Sagrantino wine region, you will find the Agriturismo “La Fonte” . The Agriturismo offers the ideal holiday for those who want peace and quiet and to enjoy the priceless historic and artistic treasures that the surrounding area has to offer. The farmhouse, which overlooks the Mount Subasio valley, from whose slopes rise the cities of Assisi and Spello, consists of four apartments; each thoughtfully restored, comfortably furnished and equipped with every convenience. The Agriturismo has a private swimming pool, barbecue, covered parking and each apartment has its own veranda with pergola. Inside the fenced private property, about 25 hectares, there are olive groves, vineyards and woods where guests can take walks, go mountain biking, see the animals reared on the farm and even see such small wild animals as squirrels, porcupines, hares and buzzards. Those who are interested can participate in the farm work such as grape and olive harvesting. In addition, you can enjoy the exceptional extra virgin olive oil and the famous Sagrantino wine that we produce ourselves. 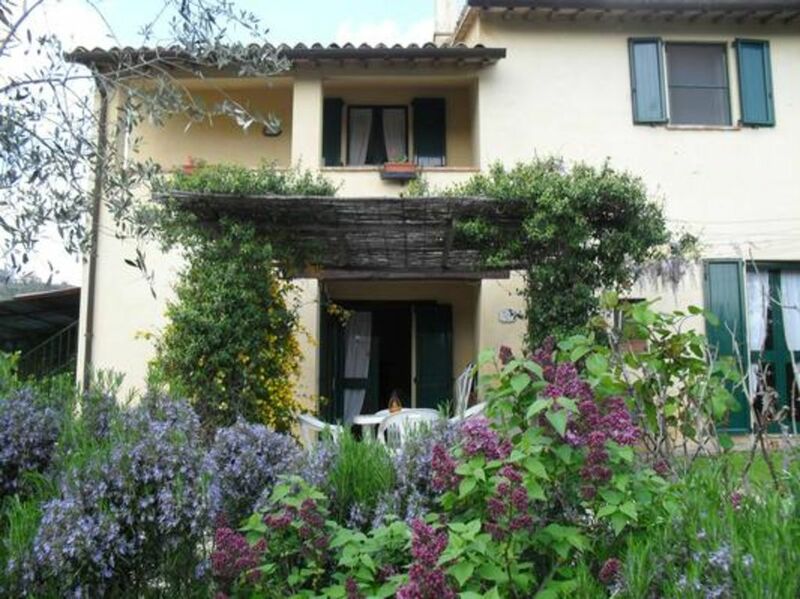 In Bevagna, which is located in the heart of Umbria and on the road leading to the famous Sagrantino wine region, you will find the Agriturismo “La Fonte”. The Agriturismo offers the ideal holiday for those who want peace and quiet and to enjoy the priceless historic and artistic treasures that the surrounding area has to offer. The farmhouse, which overlooks the Mount Subasio valley, from whose slopes rise the cities of Assisi and Spello, consists of four apartments; each thoughtfully restored, comfortably furnished and equipped with every convenience. The Agriturismo has a private swimming pool, barbecue, covered parking and each apartment has its own veranda with pergola. Free wi-fi. Inside the fenced private property, about 25 hectares, there are olive groves, vineyards and woods where guests can take walks, go mountain biking, see the animals reared on the farm and even see such small wild animals as squirrels, porcupines, hares and buzzards. Those who are interested can participate in the farm work such as grape and olive harvesting. In addition, you can enjoy the exceptional extra virgin olive oil and the famous Sagrantino wine that we produce ourselves.